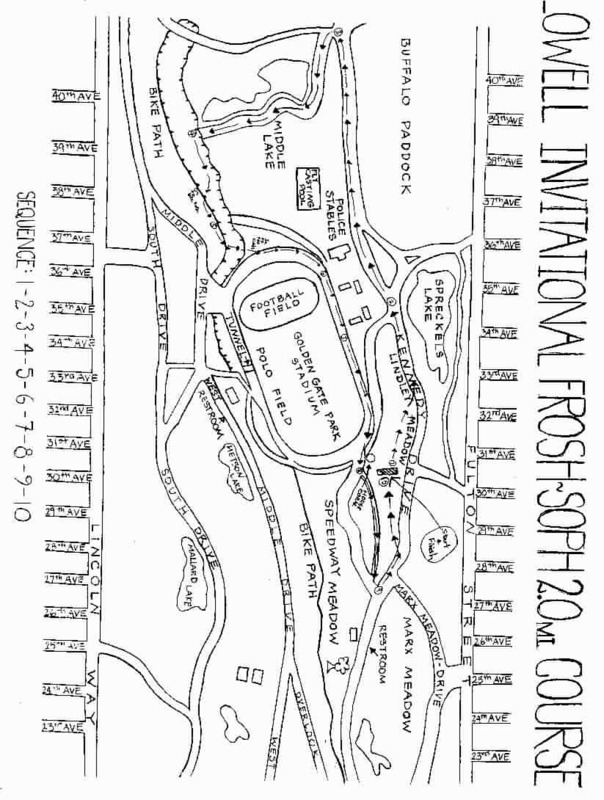 The 30th annual San Francisco/AAA Cross Country Invitational Meet will be held on Saturday, September 20, 2003 in Lindley and Speedway Meadows, in Golden Gate Park. This will mark the 25th consecutive year Lowell High School has sponsored this meet. There will be seven medals for each winning team. Individual awards are for members of non-winning teams with no more than seven individual medals going to members of the same team. Please note that the J.V. Girls will be before the Varsity Girls race. 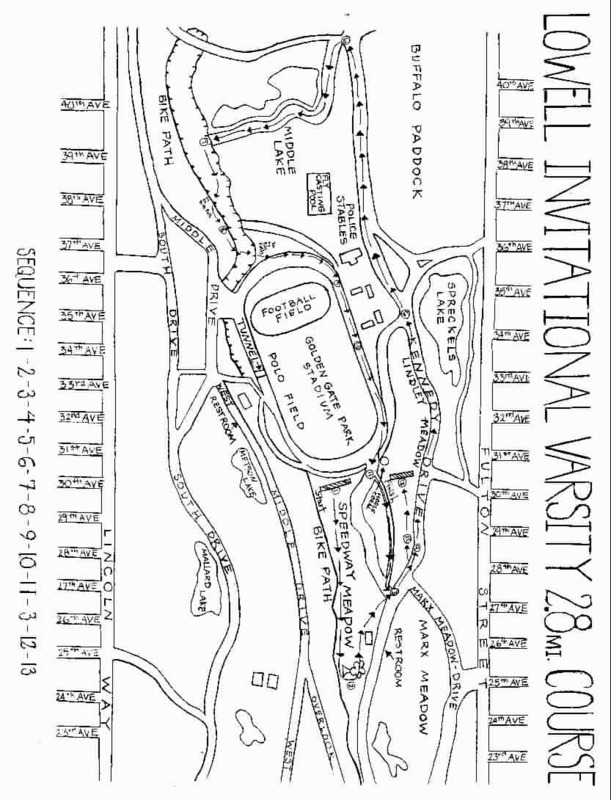 Please try to run only seven runners in the Varsity divisions, however because our meet is an early season event and coaches have used our meet to establish their top seven in the past, this is not mandatory. We plan on having souvenir tee shirts for sale again this year. This year’s invitational will be dedicated to former meet director and Lowell High School Cross Country Coach, Mr. James Thomas. Coach Thomas is a long time counselor and coach in the San Francisco Unified School District. He was Cross Country/Track coach at Lowell High School from 1976-1985 & 1987-90 and served as co-meet director of this meet from 1979 to1985. We hope to have Coach Thomas at the meet as our honoree starter. Entry fees will be $8.00 per individual, $40.00 per team with a $110.00 maximum for each school (still one of the lowest fees in Northern California). Checks should be made out to "Lowell High School". Please return the reply form on the next page ASAP (fax number is 415-759-2742), e-mail me at coachaleong@hotmail.com, or leave a message at 415-759-2730, extension 3853. _______We will be attending your meet this year. ________Sorry, but we cannot attend your meet this year. ________We are interested in attending your meet next year.